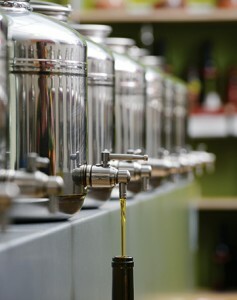 When you walk into Vom Fass or Allspice Culinarium, gleaming casks of vinegars and olive oils stir the cook’s imagination. What magic might you work with a little basil olive oil here, some cassis vinegar there? Taste a few sips and spoonfuls: Persian lime olive oil? Oh my! Chocolate balsamic vinegar? What a revelation! A dot of date vinegar mixed with a dot of orange olive oil. Who knew? It all looks and tastes so promising—until you remember that blueberry vinegar you bought years ago that languished in the back of a dark cupboard until you finally threw it out. You wonder: If I buy a couple of bottles of these elixirs, are they bound for the same fate? After all, how many recipes call for date vinegar or basil olive oil? Go ahead. Buy that fascinating vinegar, that compelling olive oil. Bring it home. And use it. The key is to tap into recipes that are infinitely adaptable to what’s fresh, what’s in season and what flavor combinations you crave. Here are three ideas to get you started. 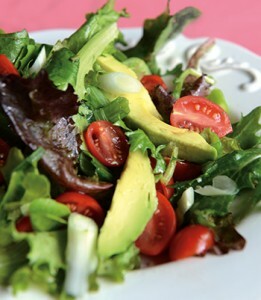 The easiest way to use specialty vinegars and oils is to dress your salad with a classic vinaigrette recipe. 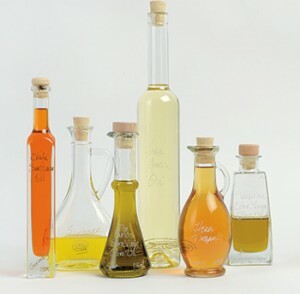 See tips (right) for changing up the vinegars and oils depending on what’s best at the market. Once you get the hang of these, you’ll be coming up with your own combinations in no time. This master recipe makes about 1/4 cup (enough to dress four side salads). Put the garlic into the bowl in which you will eventually serve the salad. Add the salt and pepper and use the back of a spoon to make a rough paste. Add the vinegar and whisk until the salt is dissolved. Whisk in the mustard. Slowly add the olive oil, whisking until incorporated. Whisk in the hot pepper sauce, if desired. Use a great multipurpose olive oil, such as Agora olive oil from Vom Fass or Picholine olive oil from Allspice. Great all-purpose salad vinegars include sherry vinegar, Champagne vinegar and Spanish red wine vinegar. Experiment with fruit-infused vinegars; it’s really hard to go wrong. For example, try cassis (black currant) vinegar with a salad that features mandarin and blood oranges. Use pomegranate or cranberry vinegar in a salad with pears and apples. If tomatoes, cucumbers, sweet peppers and such are making it into your salads, go nuts with the herb-infused vinegars and olive oils. But play around too: You’ll be surprised at how beautifully a raspberry vinegar goes with a tomato salad. Whisk the oil and vinegar in a hot pan, and voilà—an emulsion that counts as a sprightly pan sauce. You can use any steak you wish, by the way. This master recipe serves four. 1. Season the steak with salt and pepper. 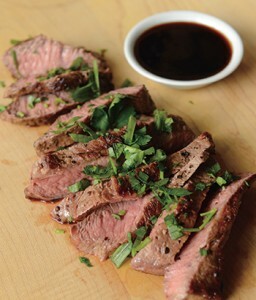 Cook the steak in 1 tablespoon of the olive oil in a large skillet to desired doneness. Transfer the steak to a cutting board and sprinkle with the fresh herbs. Cover the steak with foil and let it stand for 5 minutes. 2. While the meat stands, drain the fat from the pan. With the pan off the heat, add the remaining 3 tablespoons of olive oil, the vinegar, and the garlic and stir with a wire whisk to loosen any browned bits from the bottom of the pan. Swirl the pan for 30 seconds to 1 minute to continue to warm the sauce and soften (but not cook) the garlic. Season with salt and pepper. 3. Thinly slice the steak across the grain and divide it among four dinner plates. Spoon some of the sauce over each serving and serve. When you think about how bitter ingredients—lemons, angostura bitters, Campari and the like—bring extra spark and refreshment to adult beverages, adding a touch of vinegar to a cocktail makes perfect sense. Leave out the alcohol, and nondrinkers can enjoy a festive sipper too. In a cocktail glass, muddle the mint leaves with the vinegar. 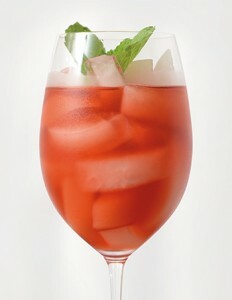 Add the juice, vodka and ice cubes; fill the glass with sparkling water. Garnish with mint sprigs, if desired. Use orange juice and grape with ginger and lemon balsamic vinegar. Use pineapple juice and Plum Star balsamic vinegar or honey balsamic vinegar. Use mango juice with mango balsamic or strawberry balsamic vinegar. You can also experiment using your favorite white spirit in the mix, such as rum or gin.